Feeding America has a Photo A Day Challenge happening for March because it’s National Nutrition Month. I’m a bit behind thanks to techy problems (and honestly, probably will not be able to do a photo every day) but here’s my contribution for HOMEMADE. Like my little bowl? The whole set of dishes was FREE on Freecycle. Yay! 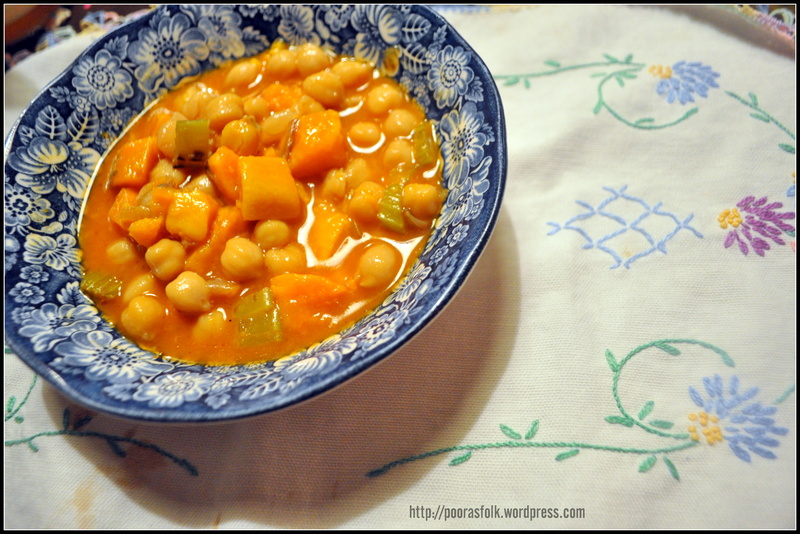 The lighting in my kitchen is terrible but this was delicious Sweet Potato & Chick Pea Soup . It was more like stew by the time I got to help myself to a bowl. Little buggers took most of the broth. I got the recipe from The Sweet Potato Lovers’ Cook Book that I mentioned last week in my Library Loot post. 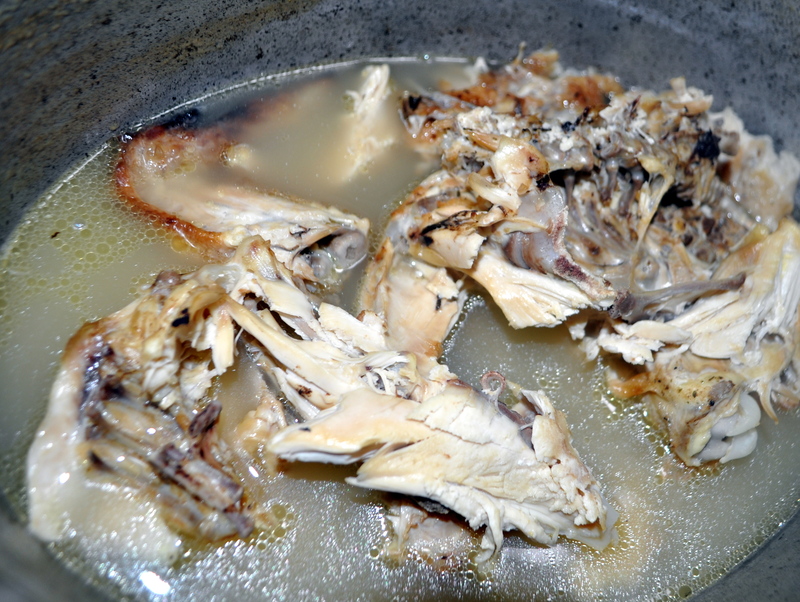 It called for veggie broth but I didn’t have enough scraps to make veggie broth this weekend but I did have a chicken carcass stashed in my freezer, so I made chicken stock instead. YUM,amiright? Ok, maybe not at this stage but it does smell amazing while the bones are boiling. 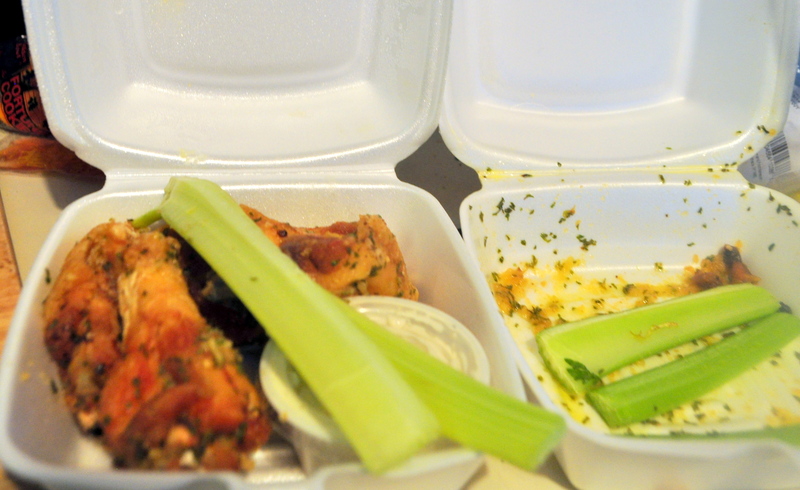 Added bonus : Someone brought over chicken wings. I rescued the celery and added it to my stock. Sidenote: I hate styrofoam with a passion.